Ted Summerton Reserve will be developed as a regional sporting hub for cricket, housing a centre of excellence with new high quality indoor training facilities to support the ambitions and development of the region’s future stars. A state of the art indoor cricket training centre will incorporate cutting edge technology to facilitate high-level coaching and player education. The centre will be multi-purpose, catering to a diverse cross-section of community groups and sporting clubs. 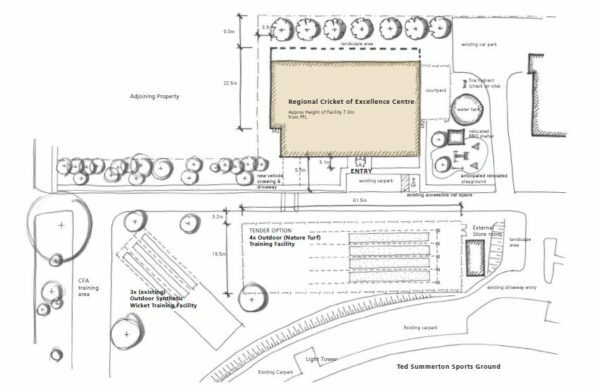 Concept plans for the cricket centre of excellence. A $500,000 funding boost from Sport and Recreation Victoria has brought the total funding for the centre to $3.5 million. This will allow for the construction of a facility inclusive of four indoor wickets, administration area and more. Outdoor turf training wickets have also been included in the final design. Local company Langden Constructions has been awarded the design and construct tender. Construction on the centre of excellence is due to commence in April 2019. 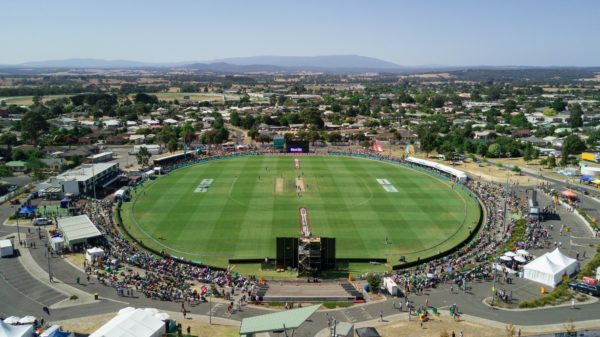 Cricket Victoria provided a schedule of desired components for the centre of excellence in consultation with regional cricket groups; a revised concept was developed following discussion with user groups. A Project Reference Group consisting of local stakeholders continues to guide planning for the project.